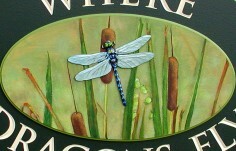 The dragonfly has intrigued people in every continent since the beginning of time. The name itself evolves from the myth that these little creatures were once dragons, and the family name – Odonata – comes from the Greek for ‘tooth’. Although dragonflies have since been known to be toothless, they do have strong mandibles with which they crush their prey. This amazing insect has incredibly agile flight and can move in six directions, as well as the ability to move at the amazing speed of 45 miles an hour. It can hover like a helicopter (which must have been originally patterned after the dragonfly), move straight up or down, and incredibly, it can do all this while flapping its wings 30 times a minute, compared to houseflies, which need to flap their wings 1000 times a minute. 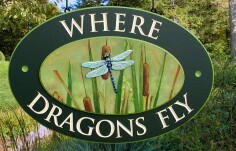 And how gracefully the dragonfly does all this! No wonder it has captured the imagination of so many – in poems and artwork. ’Where Dragons Fly’ is no exception. 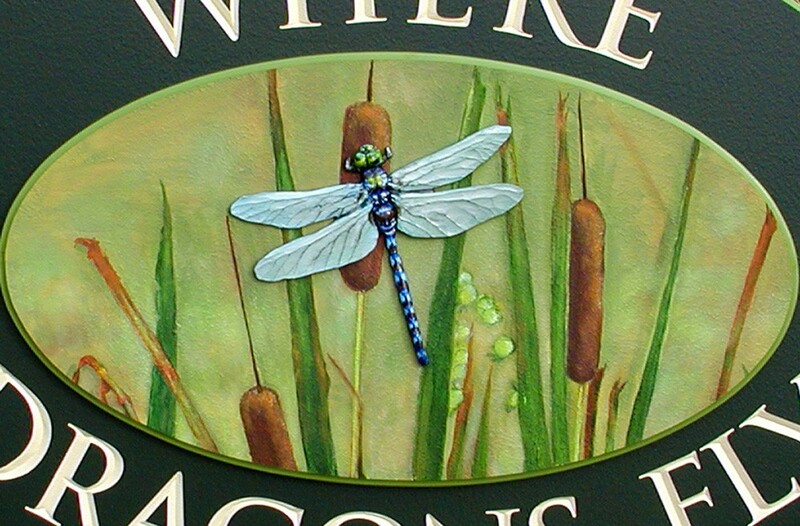 Here, the artwork is a hand painted add on oval panel, with the dragonfly itself a hand sculpted add on to add dimension and make it literally stand out. 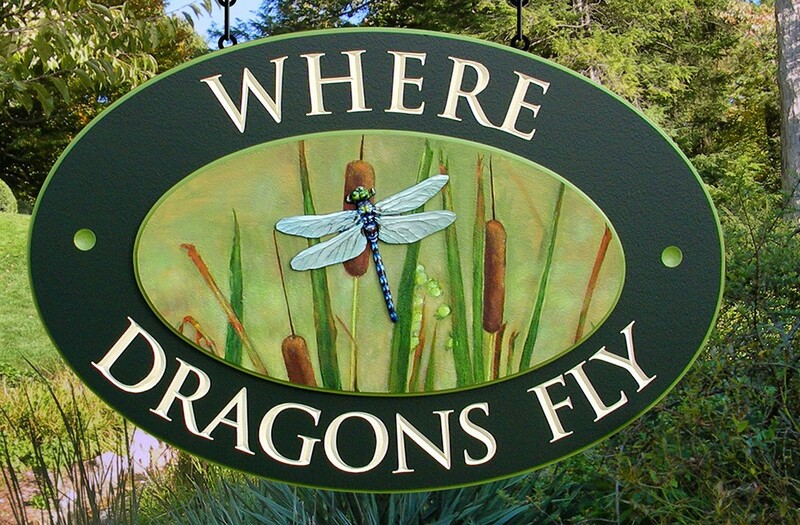 Text is hand carved into the sign surface and painted, while the bullet accents and outer border are recessed and painted in complementary green to set off the artwork. 28 " x 15 "